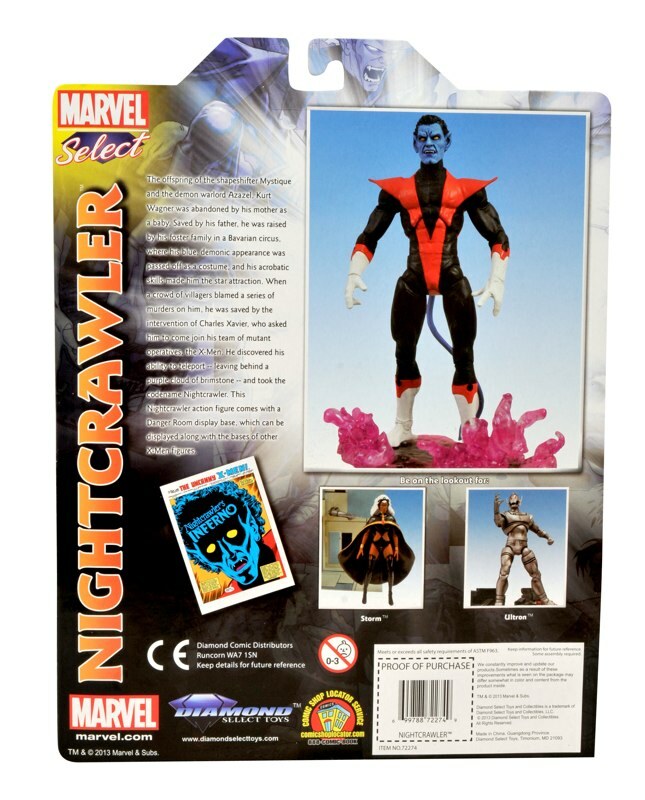 With the Marvel Select line delivering hit figure after hit figure, Marvel toy collectors have eagerly awaited the next comic-style Select to come out from Diamond Select Toys. 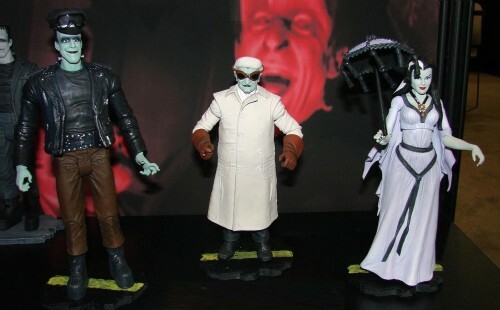 And it’s almost here! 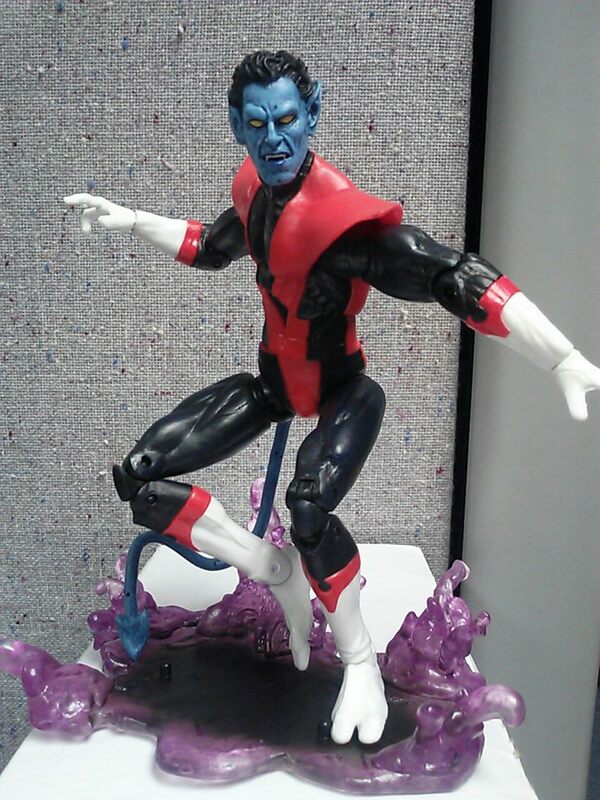 The offspring of a mutant and a demon, blue-furred acrobat Kurt Wagner has shown the signs of his mixed heritage since he was born, and sculptor Jean St. Jean has brought out the scarier aspects of the X-Men’s resident teleporter in this new figure. 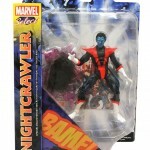 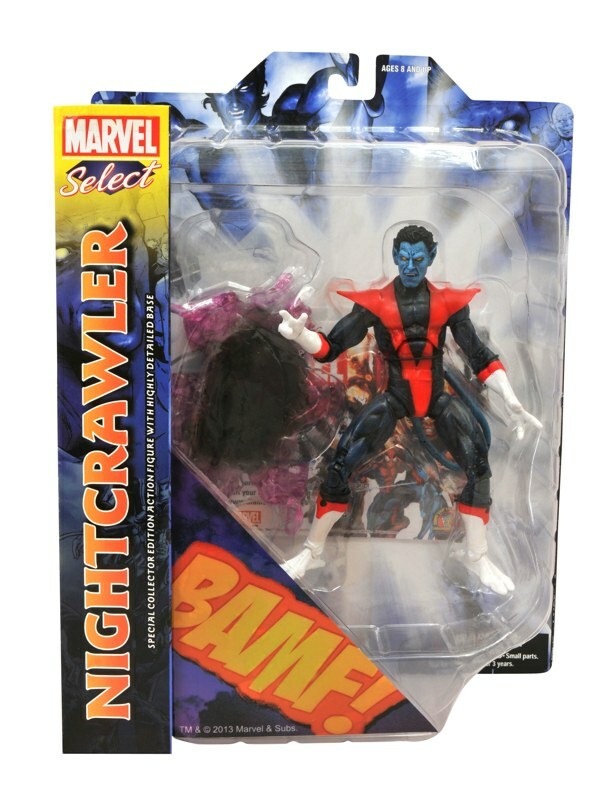 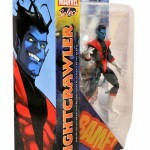 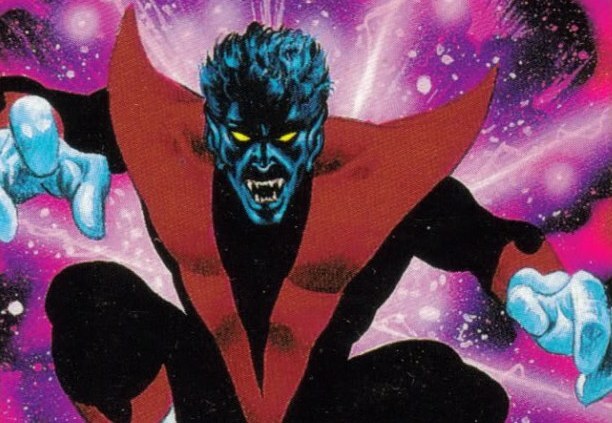 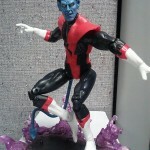 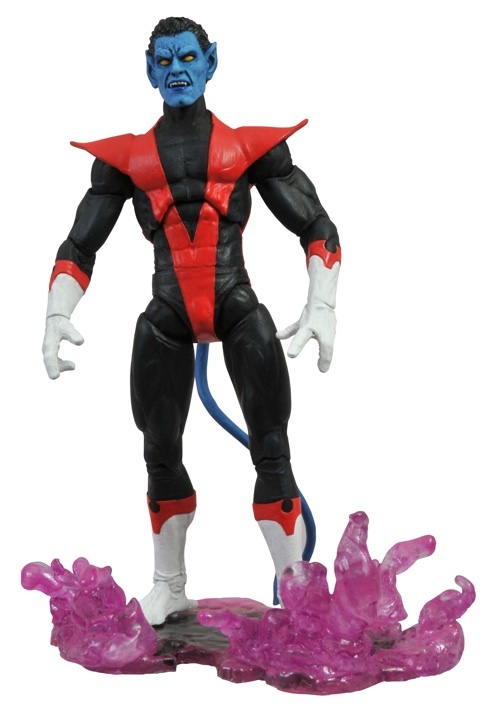 Nightcrawler stands approximately 7 inches tall with 16 points of articulation, and he comes with a “bamf” cloud base, representing the purple cloud he leaves behind when he teleports. 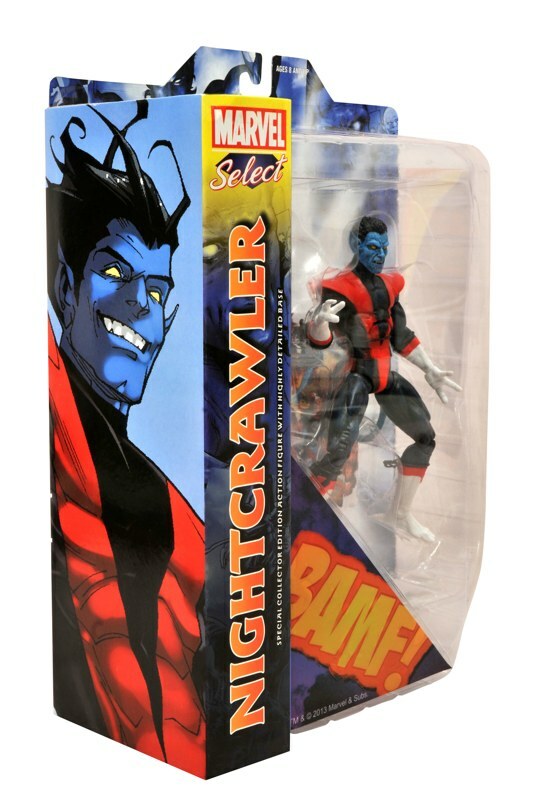 Check out the new packaging below and pre-order him from your local comic shop, specialty store or your favorite online retailer!